The 19th edition of the International Film Festival of Kerala got off to a glittering start here today with the screening of Eran Riklis's Israeli movie 'Dancing Arabs'. The capital city, which is gripped with festival fever, whole heartedly welcomes and celebrates the grand inaugural ceremony of the festival. 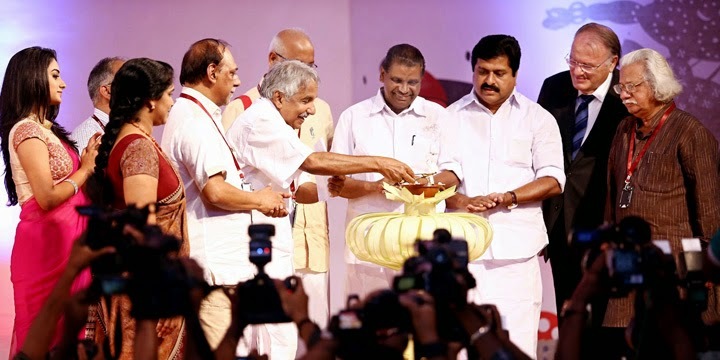 Chief Minister Oommen Chandy lighted the lamp in presence of a tightly packed audience including delegates and special invitees in Nishagandhi Open Auditorium. The presence of world renowned dignitaries and other officials from cinema and cultural fields added glory to the function. ‘The whole hearted support and co operation of film lovers of Kerala is the very soul of the Fest’, said Chief Minister Oommen Chandy while inaugurating the function. 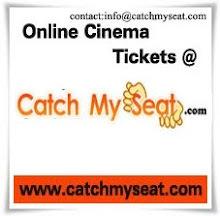 The best films will be screened and discussed on the basis of political, economical and cultural aspects. Maximum facilities are provided for the delegates by the Government. IFFK has certainly influenced in the growth of film sector and the delegates are the part and parcel of this festival, added the Chief Minister. The government has planned to digitalize old-malayalam classic films. A film complex for conducting IFFK is also on the anvil, said Minister for Cinema Thriuvanchoor Radhakrishnan while delivering the presidential address. We are proud that IFFK is recognized as the only one film festival in India with mass participation of delegates. He also presented the Life Time Achievement Award to the distinguished film maker Marco Bellocchio. Another highlight of the inaugural function was the presence of Tawfeek Barhom, who played the main character in Dancing Arabs, the inaugural film. Minister for Health V S Sivakumar, Noted filmmaker Adoor Gopalakrishnan, Jury Chairman Xie Fei, MA Baby MLA, Chalachitra Academy Chairman T Rajeev Nath, Cultural Sectretary Rani George and others attended the function. The festival catalogue was released by MACTA Chairman G S Vijayan by handing over a copy to Shaji Kailas. The Daily Bulletin was released by KSFDC Chairman Sabu Cherian by handing over a copy to KSFPA President G Suresh Kumar. The signature film was released by K Nandakumar, President of Film Chamber.